Da Da Da Da Life Goes On*: La Mulţi Ani, România! 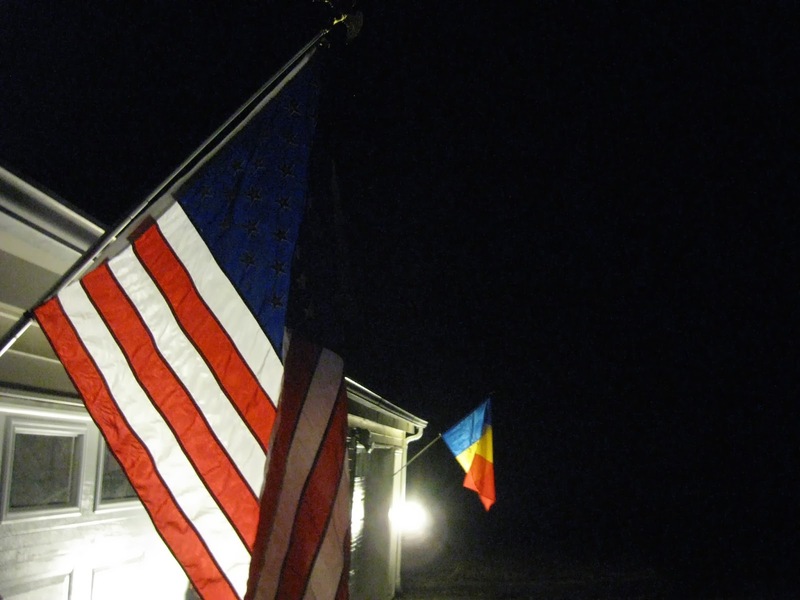 The flags were flown at 5:00 PM, Eastern Standard Time; it was midnight in Romania. The McDougalls at "Hotel New Hampshire" salute all our friends in Romania on the First of December, Ziua Naţională de România! 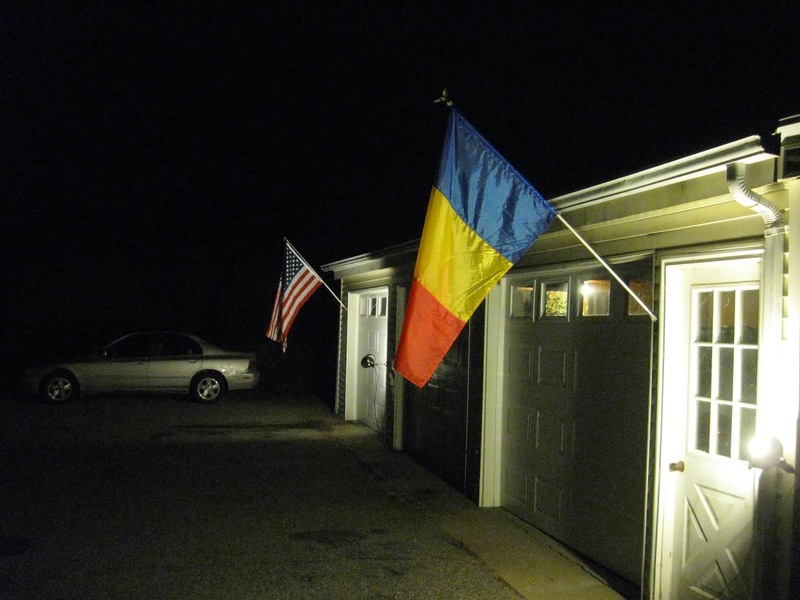 And both the Romanian tricolor and Old Glory were lit through the night. 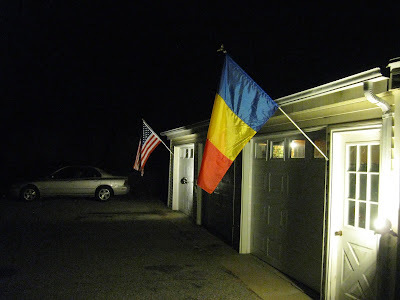 De ce nu te place curcan?